Amongst all the other decisions at Council last week, they also voted down a roading project. A bunch of people are pissed about it – Waimak mayor, the NZTA – so the Press have gone in hard on the issue. The city councillor responsible for overseeing transport in Christchurch is defending his decision to vote to pull funding for a crucial roading project. Cr Phil Clearwater heads the Christchurch City Council’s infrastructure, transport and environment committee and was one of seven councillors who last week voted to remove funding for the northern arterial extension and Cranford St four-laning from the council’s Long Term Plan (LTP). The decision shocked both the NZ Transport Agency (NZTA) and the Waimakariri District Council, which were expecting the city council to rubber-stamp the $50 million project they had been jointly planning for years. I think the angle the Press are trying to run here is “this guy is in charge of transport, so why he no moar roads?? ?” It’s nonsensical. Just because Clearwater is the head of the transport committee, that doesn’t mean he has to blindly vote for roading extensions. In fact, his experience as the head of this committee should suggest that he actually has more expertise on the subject, instead of him being singled out. The city council received 45 submissions regarding the extension, with 37 expressing opposition. If only the Press had access to the names of the 37 people who submitted against this, maybe they could do stories about them too? 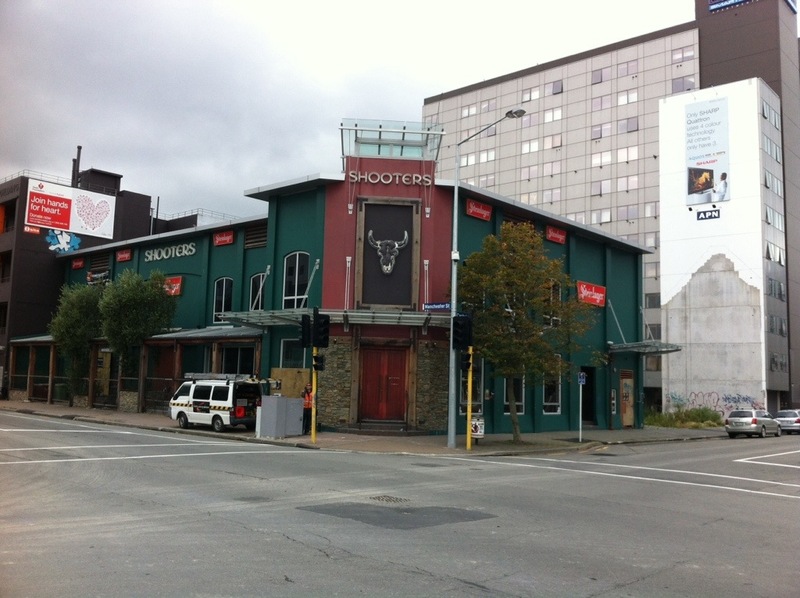 In Christchurch, responsibility for the provision of public passenger transport lies with ECan, but the responsibility for providing the infrastructure to support public transport, including bus stops, shelters, and interchanges, rests with the city council, which has caused some tension. I think it’s definitely an idea worth discussing. While we’re at it, why don’t we put responsibility for passenger rail – which is theoretical at this point – into the mix and create a single transport authority for Canterbury? 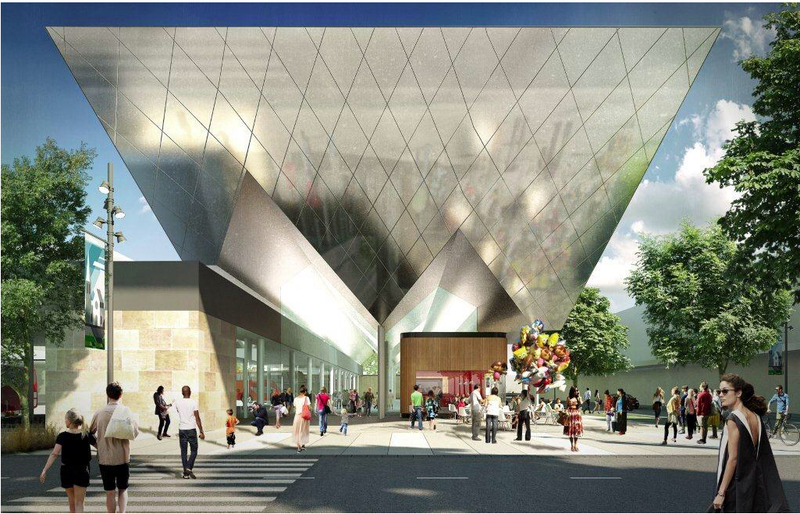 One of the anchor projects in the CCDU blueprint was building a new Bus Interchange. 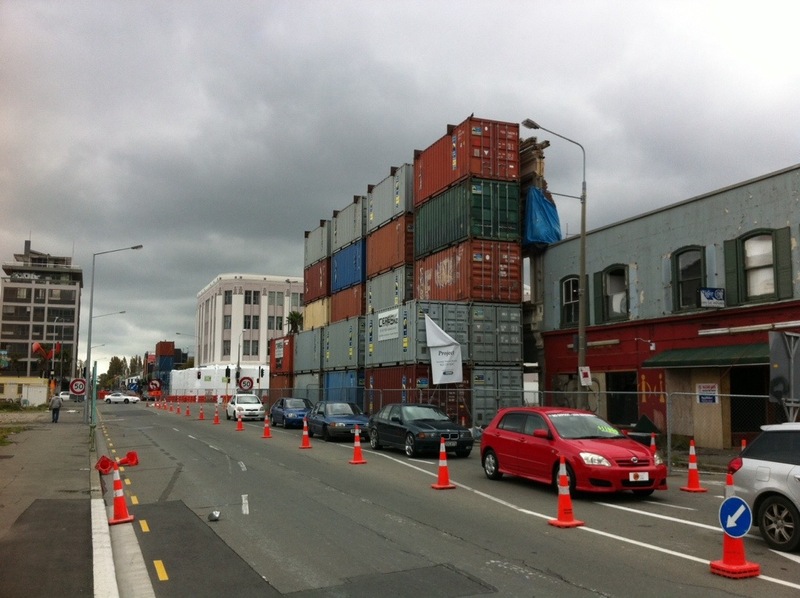 This is part of the transport plan, and is set down for the block between Tuam and Lichfield St. This is where the old Council / Millers Building is / was. Maybe it will look better in real life, but based on the image above, I’m not convinced that it’s a fair exchange. The transport plan for central Christchurch has finally been released, and it’s another piece in a rather underwhelming jigsaw puzzle. There are a few things that are going to piss off some people – Tuam St being changed to a one-way street, whilst Kilmore, Salisbury and Lichfield St are reverted to two-way from their current one-way. Also, the speed limit for the “core” of the CBD will be dropped to 30km/h – though as Eric Crampton pointed out on twitter, that’s effectively what we have now. While the plan says lots of nice things about cycling and pedestrians, call me cynical (go on, do it. I dare you) but I can’t help but be underwhelmed by this announcement. The transport plan on it’s own won’t do much to revitalize the inner city, but then, what will? 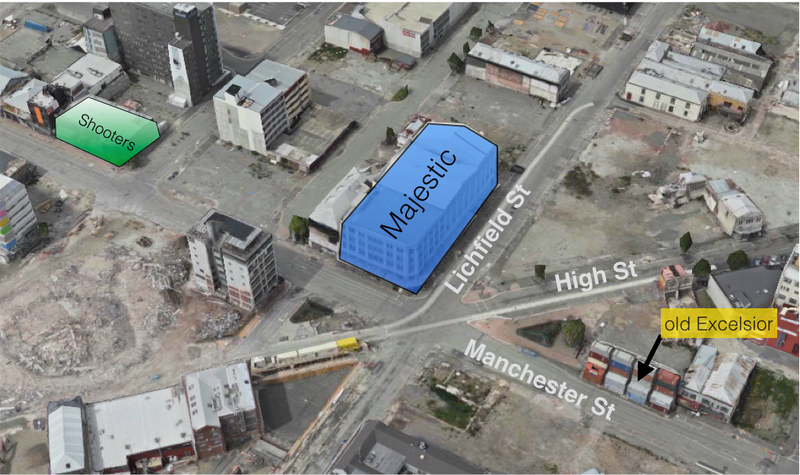 There are two things in the plan that I do have problems with – the bus exchange, and the widening of Manchester St. 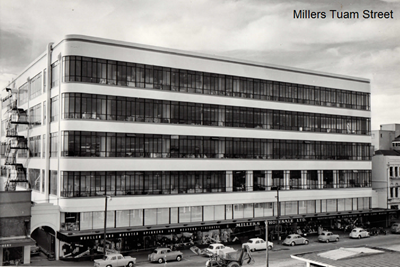 The bus exchange is going to go onto the Tuam St site of the old CCC / Millers building – which is a magnificent building which could and should be saved, not knocked down to create a bus terminal. 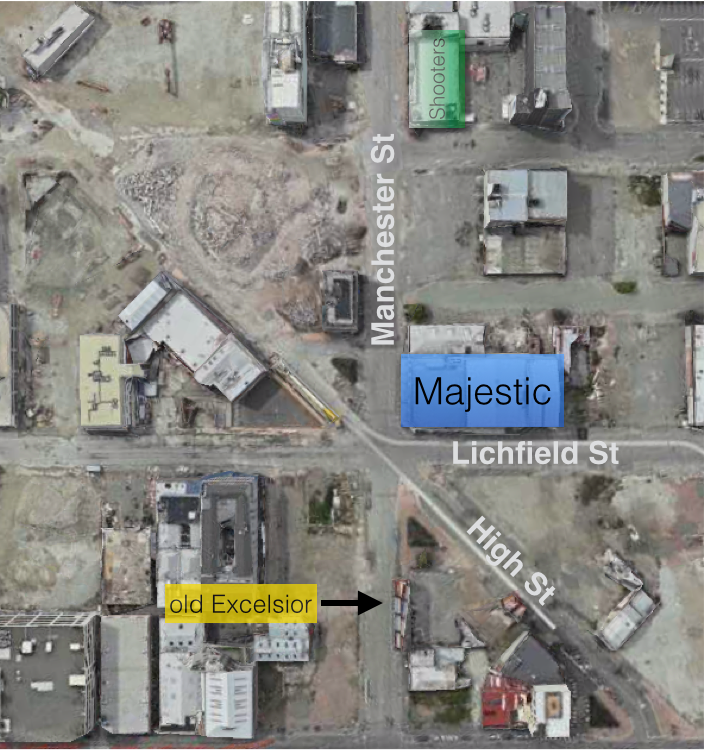 Secondly, the widening of Manchester St will see a bunch of buildings torn down – some of the last remaining ones in the CBD, as well as ones that have been built since the quakes – so they can get a bus lane in. Manchester St was very prone to traffic jamming pre-quakes, so I’m not convinced that running buses down it will sort that issue out. It will be interesting to see how the new Council responds to this plan, and whether they agree with all the aspects of it. After all, they – not the government – are ultimately the ones who are going to have to administer it.